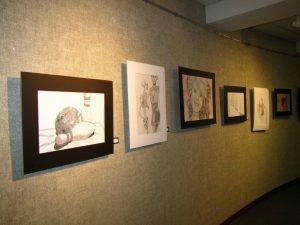 The Beverly Corcoran Art Gallery, located inside Memorial Auditorium & Convention Center, features art exhibits from local artists and students. The art gallery is available for the public to enjoy, free of charge, whenever the Memorial Auditorium is open for evening and weekend meetings and performances. To display your works of art in the gallery, download and complete the Art Exhibit Agreement form and return to the Memorial Auditorium.